We present the fellows and participants of the McCormick Specialized Reporting Institute, "Covering Big Agribusiness in the Heartland" 2013 workshop. 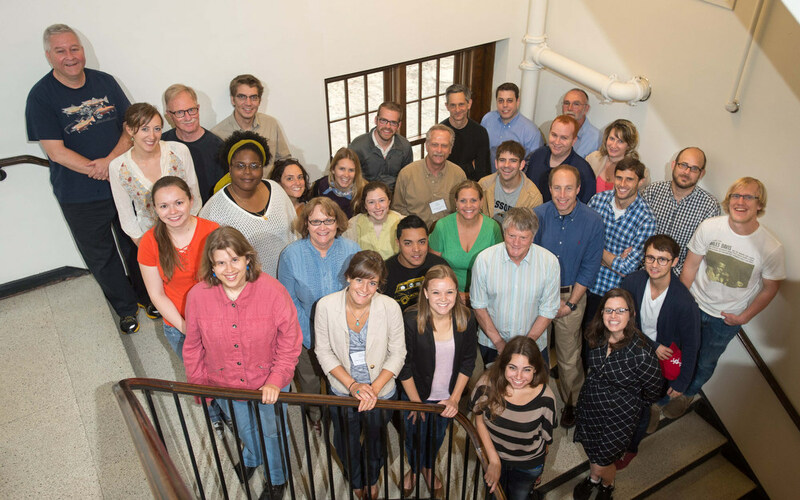 More than two dozens journalists from throughout the U.S. gathered in Champaign, Ill. for an intense three-day workshop on covering big agribusiness companies. The works hop, primarily funded by the Robert R. McCormick Foundation in Chicago, was hosted by the Midwest Center for Investigative Reporting and Investigative Reporters and Editors at the University of Illinois campus. Sessions were led by agribusiness experts from Midwest universities and top reporters. Resources from the workshop are posted on the Midwest site to aid journalists with pursuing collaborative projects after the workshop. Social media updates were pushed to Twitter on #agjournos and Facebook at facebook.com\agjournos. Journalists came from large and small newsrooms, both profit and nonprofit, and are working in every medium. The workshop received support from the Ethics and Excellence in Journalism Foundation in Oklahoma and College of Media at the University of Illinois. The Midwest partners with Harvest Public Media and the Investigative Journalism Education Consortium. For a complete recap, see our post dedicated to the workshop.